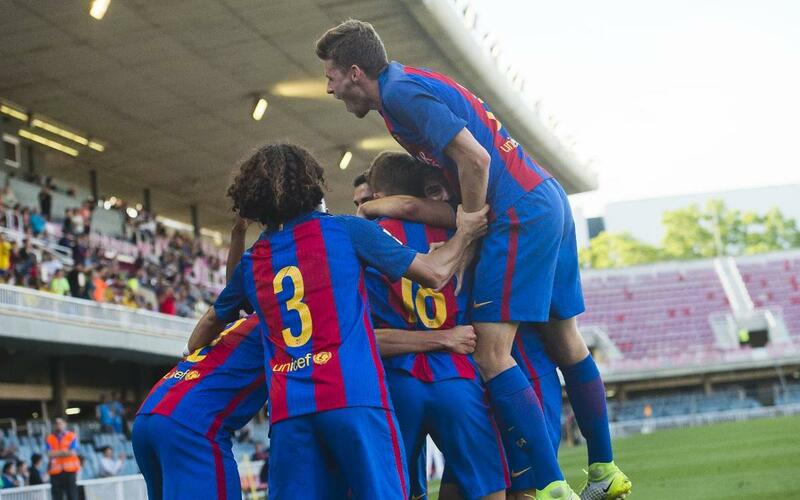 Barça B overcame Ebro 3-0 to register a record number of points in Group 3 of the Second Division B. Goals from Palencia, Cardona and Abeledo gave Gerard López’s side the win, stretching their unbeaten run to 14 matches, their points total to 82 and their number of wins to 25, both records. In the first half Kaptoum enjoyed the first chance to put Barça ahead with a shot that flew just wide of the post. Chances for the likes of Alfaro and Romera came and went before the break and at half time the teams left the field with the scoreline goalless. The second half was a different story for Barça. On the hour mark Palencia opened the scoring with a great long range effort. Blaugrana keeper Varo made a vital save to prevent the equaliser and late goals from Cardona and Abeledo rounded off the win. Three more points in what has been a great campaign for the B squad. Now they await Cultural Leonesa, Albacete or Lorca in the play-offs.